The 2016 presidential election has prompted commentary about the controversial rhetoric of President Donald Trump. His brash style and uncompromising assertions have caused scholars to renegotiate their conceptions of successful political rhetoric. While Trump lost the popular vote, he did win the presidency with an unconventional rhetorical style (Jacobson). Trump evoked populist arguments that promoted distrust of the establishment and called for change by "drain[ing] the swamp" (The American Presidency Project 2016, October 17, par. 30). Trump's appeal at least partially stemmed from his lack of political experience and his subsequent ability to claim an ethos untarnished by current political cynicism. Instead of attempting to explain the election result, we focus on the underlying worldviews evoked and promoted in the 2016 presidential election. The competing worldviews at stake in the election are best understood as rhetorical dramas that Trump and Democratic nominee Hillary Clinton constructed about America's future. This perspective opens opportunities for viewing worldviews as functioning to legitimize argument structures and for exploring voting as a meaning-making activity. To analyze how political arguments serve as rhetorical visions, we employ Kenneth Burke's dramatistic theories of terministic screens, the pentad, and identification. We argue that Trump and Clinton's campaign arguments are discursive remnants of the candidates' guiding ideologies and terministic screens, or worldviews (Burke, LASA 45). Political arguments, therefore, either fail to carry or succeed in convincing audiences based on adherence to those guiding ideologies. Burke's pentad, as a five-faceted model of determining motives, enables us to compare the differences between Trump and Clinton's rhetorical dramas that were told through their campaign arguments. Identification further enhances our examination of the candidates' political discourse by emphasizing the dynamic relationship between speaker and audience in persuasion. Political arguments function as"a symbolic means of inducing cooperation" in voters to support the candidates' visions of what is best for the country (Burke, RM 47). These interrelated concepts afford different analytical opportunities than approaching political rhetoric through argumentation or dramatism alone. By combining dramatism with the Toulmin model's argument mapping, we illuminate how Burke's theories are integral components of political criticism and how warrants and worldviews are intertwined in political rhetoric. Don Parson proposed that dramatism and argumentation can be productively combined when he summarized Burke's ideas on ideologies: "in choosing a vocabulary of action, humans necessarily select a part of reality and reason from that part" (146). Our ideologies, and thus the vocabularies we use that reflect those ideologies, provide the foundation for our reasoning processes. Barry Brummett expanded on this point by noting that "ideologies motivate and guide political rhetoric and give it purpose" (251). How people make sense of situations at least partially explains their "core" ways of thinking and making decisions (Brummett 252). When Trump and Clinton proposed solutions to the nation's problems, their ideologies served as inventional resources that justified the reasoning behind those arguments. Political arguments, as rhetorical markers of a person's guiding pentadic ratios and terministic screens, resonate with voters in different ways. Alignment with those underlying ideologies and worldviews implied by those arguments create the opportunity for identification between voter and candidate. Without identification, Burke theorized that persuasion could not occur because there was no point of similarity from where persuasion could originate. He argued, "You persuade a man only insofar as you can talk his language by speech, gesture, tonality, order, image, attitude, idea, identifying your ways with his" (Burke, RM 55). While this statement indicates a sequential relationship between identification and persuasion, Burke also invited the consideration of the two as co-constitutive acts. Burke noted that the process of identification can occur between people "even when their interests are not joined, if he assumes that they are, or is persuaded to believe so" (RM 20, emphasis added). Thus, identification and persuasion are not fully sequential or separate acts but are instead components of a dynamic constellation of symbolic interactions that bring people into a state of being "consubstantial" (RM 25). Viewing identification and persuasion as intertwined rhetorical actions expands the potential application of Burkean theories for communication scholars and complements existing work on pentadic ratios and argument forms. Scholars have turned to Burke's pentad to explain the reasoning behind the assigning of blame and the discovering of motivations within dramatic events. Burke highlighted that much can be learned from a person based on which parts of an event they emphasize and which they do not. He described events as containing an act, an agent (who performed the act), agency (how the act was performed), a scene (the situation containing the act and agent), and a purpose (why the agent performed the act). For example, a person who emphasizes the "scene" might argue that a potential criminal, or an "agent," was in the wrong place at the wrong time, resulting in a scene-act ratio, where the circumstances held more control over the act than the agent themselves (Tonn et al.). The same crime may be described differently as being the sole responsibility of the criminal who had complete control over their actions, resulting in an agent-act ratio. These ratios can also be seen in political ideologies. For example, Emma Frances Bloomfield and Angeline Sangalang argued that conservatives often support the autonomy of the individual in economic situations because they tell agent-act narratives where individuals can pull themselves up by their bootstraps and succeed regardless of any situation in which they might find themselves. Liberals, on the other hand, tend to argue for supportive policies, such as entitlement and assistance programs, because they embrace scene and agency-focused narratives that take environmental and structural limitations into consideration of an agent's ability to perform actions (Bloomfield and Sangalang). The pentad helps us understand the underlying worldviews and guiding narratives from which people interpret, respond to, and argue about situations. Different ratios make available different ideologies, vocabularies, and resources to create arguments. If we consider the formal components of the Toulmin model, we can see more clearly how worldviews, ratios, and identification are enacted within political arguments. Toulmin's model of argumentation maps out how an argument is made with three primary parts: claim, grounds, and warrant. The argument claim is the "conclusion whose merits we are seeking to establish" (Toulmin 90). The information that supports this claim is the grounds or "data" (Toulmin 90). Toulmin defined the warrant as answering the question, "How do you get there?" because it serves as the often-unstated logical link that connects the grounds to the claim (90). In their article explicating the Toulmin model, Brockriede and Ehninger posited the claim, "Russia would violate the proposed nuclear ban on nuclear weapons testing," because of the grounds, "Russia has violated 50 out of 52 international agreement" (45). While unstated, the logical link that connects these two statements is that "past violations are symptomatic of probable future violations," or, in other words, past behavior predicts future behavior (Brockriede and Ehninger 45). The Toulmin model also contains a secondary component called the backing, which is a statement of data, facts, or ideology that adds strength to the warrant by "certify[ing] the assumption expressed in the warrant" (Brockriede and Ehninger 45). Toulmin described the backing as a series of "assurances," because without them, the warrants that linked our grounds to the claim "would possess neither authority nor currency" (96). If we view campaign arguments as having an underlying claim that the public should vote for one candidate over opponents (Bloomfield and Katula 140), campaign promises become grounds on which that claim rests. A candidate's ideology, worldview, and pentadic ratios can thus be viewed as backing for warrants that justify campaign promises as rational criteria on which to vote. Bruschke called presidential campaign arguments "episodic," whereby they unfold periodically over a series of events (60). While each individual argument is important, it is also important to consider how political arguments function as "part of a much larger superstructure" that connects them (Brushke 60). We argue that Burkean theory provides insight into these superstructures by analyzing the underlying ideologies that legitimize Trump and Clinton's political arguments as part of a unified claim that they deserved the presidency. A warrant thus functions based on the audiences' adherence to the warrant's backing, which is the part of the argument where we find guiding ideologies and worldviews. Through analyzing the public campaign speeches of Trump and Clinton, we concluded that Trump and Clinton differed in the pentadic ratios they expressed in their descriptions of America and their candidacy during the campaign. Those ratios served as backing for their arguments, through which their arguments resonated or failed to resonate with voters. Trump primarily employed arguments backed by an agent-focused, idealistic worldview. Without a belief in agents or agreement with an idealist perspective, the inferential leap that justified Trump's promises is left unsupported. Trump makes frequent authoritative arguments, which rely on "the quality of the source from which the data are derived" (i.e., Trump himself) to validate his claims (Brockriede and Ehninger 51). Clinton's vocabulary echoed an agency-agent ratio, which afforded arguments based on the mechanisms of change, the power of compromise, and the ability to find solutions to shared problems. Clinton's arguments rest on a worldview that considers the tools used and how acts are performed as more powerful than agents, thus subsuming individual desires under what is best for the system. We use the pentad, identification, and the Toulmin model as analytical vehicles for considering the political vocabulary of the 2016 presidential election and how political ideologies are enacted in arguments. In combining dramatism and argumentation, we take seriously the implications of ideological orientations on politics and how argument warrants are legitimized and backed by underlying worldviews and ratios. While Burke rarely addressed argument (Levasseur), we argue that dramatism is naturally suited to analyze political logic and naturally-occurring argument because it is concerned with "equipment for living" (Burke, PLF 304). Indeed, Burke does offer "strategy" and "maneuver" as descriptions of dramatism's method, hinting at an orientation toward argumentation (PLF 298). Dramatism is an important component of contemporary argument studies and an active integration of the two offers insights into how campaign rhetoric is performed and can be understood. After explicating the argument structures of Trump and Clinton, we conclude by examining the implications of Trump's use of idealistic arguments for political communication. Trump entered the 2016 presidential campaign as an outsider. With business experience and celebrity status, he seemed well-poised to enter an arena where political leaders had universally low approval ratings (Pew Research Center, "Campaign 2016"). Our characterization of Trump's political arguments as idealistic, and thus agent-focused, is based on two emergent themes: Trump describing himself as the controlling, dominant agent and describing the political scene as a corrupt enemy of the people. The warrants that "authori[z]e" Trump's arguments rely on an idealist backing that agents are powerful and, thus certified, serve as "bridges" from his campaign promises to the conclusion that people should vote for him (Toulmin 91). In Trump's political narrative, he is the only person capable of fixing the errors of the previous presidency. Burke argued that "idealistic philosophies think in terms of . . . the ‘self,'" in that they emphasize the individual mind in the performance of acts (GM 171). By aggrandizing the "self," there are no claims too wild, outrageous, or unreasonable. In his announcement address, Trump made a series of promises that functions as grounds for why people should vote for him: "I beat China all the time," "I will stop Iran from getting nuclear weapons," and "I will immediately terminate President Obama's illegal executive order on immigration" (The American Presidency Project 2015, June 16, pars. 5, 197, 198). These grounds can be viewed as legitimate voting reasons if voters believe in the power of individual agents to accomplish such tasks. In his campaign rhetoric, Trump frequently used these "authoritative arguments" where the implied warrant that Trump can complete these tasks "affirms the reliability of the source from which these are derived" (Brockriede and Ehninger 51). If someone does not trust "the quality of the source" making the claim, then the argument lacks a "factual point of departure" (Brockriede and Ehninger 44). But, if voters believe in Trump and his appeals to ethos and that he can accomplish those tasks if elected, they can be carried easily from the given grounds to the claim. One of Trump's oft-repeated campaign promises was his assertion, "I will build a great, great wall" (The American Presidency Project, 2015, June 16, par. 191). With 70 percent of Americans listing immigration as a very important factor in their 2016 vote (Pew Research Center, "Top Voting Issues" par. 2), Trump's claim of dominance over immigration issues likely resonated with voters. Even if audiences were not fully convinced that Trump would be able to build a wall and "have Mexico pay for that wall" (The American Presidency Project 2015, June 16, par. 191), they could still identify with his confidence that he could bring about change. Trump did not promise incrementalism or compromise; he promised swift and complete transformation of the current political system based on his intrinsic qualities as an agent. Without specific examples or evidence, Trump backed his wall-building grounds by saying, "nobody builds walls better than me, believe me," again relying on warrants only backed by the source making them (The American Presidency Project 2015, June 16, par. 191). In the same speech, talking about rebuilding American infrastructure, Trump noted, "It will be done on time, on budget, way below cost, way below what anyone ever thought," the "believe me" this time implied (The American Presidency Project 2015, June 16 par. 206). As backing for his wall-building ability, Trump relied on voters' shared belief in his own assurance that he could have complete control over these issues if elected. In many assertions, Trump paired "I" with words such as "alone" and "only," highlighting his unique capabilities. He argued, "I alone can fix [the system]" (The American Presidency Project 2016, July 21, par. 42), "I am the only person running for the Presidency who understands this problem and knows how to fix it" (The American Presidency Project 2016, April 27, par. 22), and "I know these problems can all be fixed . . . only by me" (The American Presidency Project 2016, June 22, par. 8). Trump frequently raised his own capabilities above others, using superlative statements. For example, Trump declared, "I will be America's greatest defender and most loyal champion" (The American Presidency Project 2016, April 27, par. 173) and that he would be "the greatest jobs president that God ever created," (The American Presidency Project 2015, June 16, par. 68). Trump positioned himself as a "super-agent" with complete control over the political environment, unlike his opponents (Burke, GM xxii). Even if voters did not view themselves as powerful individuals, by establishing consubstantiality with Trump they could vicariously become powerful by believing in and voting for him. Consubstantiality can thus be viewed as a self-fulfilling prophecy in the sense that people may act in accordance with what they wish to be instead of finding commonality with what they currently are. Trump frequently referenced himself as outside of politics, despite running for political office. In his announcement speech, Trump argued, "Politicians are all talk, no action. Nothing's gonna [sic] get done" with more politicians in charge (The American Presidency Project 2015, June 16, par. 36). Trump positioned himself as a different kind of candidate, saying, "I am proudly not a politician" (The American Presidency Project 2016, August 31, par. 150) and "I want to be an outsider" (The American Presidency Project 2016, July 16, par. 25). This seeming contradiction can be explained by turning again to consubstantiality, which highlights the acts of identification and division as compensatory (Burke, GM). In claiming to not be a politician while running for office, Trump occupied a dynamic position between his then non-politician status and a vision of what a non-politician politician might look like. Drawing on idealism, Trump emphasized that his business experience and non-politician status would be the sole change needed to overhaul the current political scene. Trump argued that voters could dismantle the current system by electing him and rejecting traditional candidates. Trump encouraged voters to consider whether they would want to live in an America "ruled by the people, or by the politicians," where Trump becomes identified with the people and not the politicians (The American Presidency Project 2016, June 22, par. 25). For voters feeling separated from politicians, Trump painted a rhetorical vision where the stereotypical, untrustworthy politicians were replaced by someone who shared the voters' faith in the power of the individual and a commitment to change. Instead of thinking of voting as a political act, Trump recast voting as a moral one. Trump's use of judicial metaphors framed the election as a national trial where the people could convict those who they perceived to have wronged Americans. Parson noted that metaphors are one of Burke's master tropes and easily serve "as a vehicle for argument" (147). When Trump asserted that he was "the law and order candidate," he used the justice metaphor to claim that he was powerful enough to serve not only as president but also as judge, jury, and executioner (The American Presidency Project 2016, July 11, par. 21). Trump argued that by voting for him, Americans had the opportunity to make "the politicians stand trial before the people" (The American Presidency Project 2016, June 22, par. 139). Trump's law and order rhetoric was "restorative," intending to right the inverted system, make politicians work for the people once again, and create a world "that is more faithful to [voters'] longings and aspirations" (Oliver and Rahn 190). These arguments constructed voting as an urgent act to restore an ideal political order and placed power and agency in the hands of voters to enact change in the political system. Burke associated justice with idealism because the law's "essential feature is in its derivation from the attitudes of human agents" for the purposes of self-governance (GM 175, emphasis in original). Trump ignited these beliefs in his supporters, frequently leading chants of "Lock her up!" towards Clinton at rallies. Trump characterized Clinton as thinking that "she is above the law" but argued that "come November, the American people will show her that she is not" (The American Presidency Project 2016, July 11, par. 153). Extending presidential power beyond its limits, Trump asserted that he could perform these judicial functions as the head of state. Trump changed the deliberative frame of politics to a forensic one, where Clinton's "crimes" (The American Presidency Project 2016, July 16, par. 15) required a guilty "verdict" from the voting "jury" (The American Presidency Project 2016, June 22, par. 140). Trump argued that voting in the 2016 election was not simply what was best, most prudent, or most efficacious for the country, but was also an ethical and moral obligation to punish the guilty and reward the politically innocent. In voicing the "idea of justice," Trump made "possible some measure of its embodiment" (Burke, GM 174). The agent is the creator and manipulator of reality, so the agent's thoughts and ideas have material implications. In support of his claims to the presidency, Trump offered multiple grounds based on his ability to accomplish tasks no one else could, which may seem on their face, unbelievable. As Dow noted, many people did not take Trump's arguments "seriously," because they seemed impossible for any individual to accomplish (137). Trump's supporters, however, did take his assertions seriously, because they viewed them not as specific promises, but as arguments for change that hinged on the power of individuals to control their situation. Toulmin argued that while grounds often serve as specific reasoning in support of the claim, warrants are often "general," thus "certifying the soundness of all arguments of the appropriate type" (92, emphasis in original). In making warrants backed by appeals to the authority of agents, Trump not only made an argument about himself but also proffered an idealistic worldview about the power of individuals, in general, to fight back against corrupt scenes and to enact change. In addition to lauding the power of the individual, Trump's arguments cast a negative light on current scenic features such as the political system and the media. The powerful agent needed enemies to attack and to overhaul once elected. Trump characterized current politicians and their policies as making "disastrous trade deals," slashing salaries, and "trapping kids in failing schools" (The American Presidency Project 2016, June 22, pars. 13–17). Previous decisions were made by politicians who have "rigged [the system] against you, the American people" for their own benefit (The American Presidency Project 2016, June 22, par. 18). The term "rigged" modified "system" to describe the political scene as manipulative, elitist, and structured purposefully to exploit the public. Trump noted that the rigged system is in place because "insiders wrote the rules of the game to keep themselves in power and in the money" (The American Presidency Project 2016, June 22, par. 12). In an age of "massive . . . voter discontent with the governing classes," Trump's message likely resonated with voters who saw themselves as being disadvantaged by the current political system and who aligned with the idealistic hope that change was possible with a replacement at the head of government (Oliver and Rahn 189). Unlike other players in the political scene, Trump argued that he was "not behold [sic] to any special interest" (The American Presidency Project 2016, August 31, par. 150) and was thus not burdened with "crooked" monetary commitments (The American Presidency Project 2016, July 16, par. 18). In his announcement address, Trump noted, "I don't need anybody's money. . . . I'm really rich" (The American Presidency Project 2015, June 16, pars. 115–16). The repeated phrase "Nobody owns Trump" (The American Presidency Project 2016, August 31, par. 150) served as grounds that portrayed Trump as a candidate uniquely positioned to accomplish tasks despite the influences of the corrupting scene that had affected others. Conversely, people enmeshed in the political scene were described as "controlled fully by the lobbyists, by the donors, and by the special interests, fully" (The American Presidency Project 2015, June 16, par. 48). In addition to attacks on career politicians, Trump also made arguments against the media. Trump argued that the media seek to withhold information from the people as a means to control them, a claim carried into his presidency. During the campaign, he said, "The truth is our immigration system is worse than anybody ever realized. But the facts aren't known because the media won't report them" (The American Presidency Project 2016, August 31, par. 13). Trump claimed that it is only he who "will tell you the plain facts that have been edited out of your nightly news and your morning newspaper" (The American Presidency Project 2016, July 21, par. 19). Burke argued that idealism grounds knowledge "in the nature of the knower" (GM 172, emphasis in original). In other words, idealism enables a type of relativism where truth, knowledge, and facts are contingent upon agents' belief in them. Trump, therefore, made frequent attempts to rewrite reality for voters and denounce those that hold a different version of reality. Although Trump might not have told voters the truth, he did repeatedly express a commitment to honesty and to peeling back what he portrayed to be lies in the system. In other words, even if the statements Trump made were not extrinsically true, they might still "ring true" for his voters and thus gain their adherence to his political drama (Fisher 362). Burke argued that lies are a "creative aspect of idealism, since an ideal may serve as standard, guide, incentive — hence may lead to new real conditions" (GM 174). Trump's alternative facts, stretching of the truth, and blatant mischaracterizations produced a version of reality that supported Trump's candidacy and thus aligned the idealistic with the realistic. In characterizing the power of agents, Trump constructed a clear narrative whereby his election would overthrow the polluted scene and restore order. Perhaps the most memorable phrase of Trump's campaign, the "Make America Great Again" slogan, refers directly to the rehabilitation of the corrupt scene, where "the decades of decay, division and decline will come to an end" (The American Presidency Project 2016, July 11, par. 154). Often referring to vague time periods of America's previous greatness, Trump argued, "The years of American Greatness will return," a predictive statement contingent on his election to office (The American Presidency Project 2016, July 11, par. 155). Trump created a powerful enthymeme, where the time America was once great is filled in by the audience, thus resonating with them because the full drama unfolded from them. However one defined greatness or whenever people thought America was previously "great," Trump implied that all of those powerful visions could be realized in a Trump presidency. Trump argued that he could "return us to a timeless principle," where "the interests of the American people," however varied and numerous, would be fully achieved (The American Presidency Project 2016, April 27, par. 4). Trump asserted that the damaged, weak, and vulnerable scene of corrupt politicians and lying media would soon be overthrown with the help of idealistic voters who believed in his power to enact his promises, in the need for change, and in the political story that a forgotten, yet undefined, greatness was just on the horizon. In contrast to Trump, Clinton's campaign arguments were guided by pragmatism, emphasizing compromise and cooperation within the system. Clinton removed Trump's powerful agent from focus and placed it as the antagonist of the current political climate. In Clinton's political drama, it is the stubbornness and overconfidence of agents that pose the biggest threats to democracy, while compromise and incrementalism engender success. Clinton's political arguments were legitimized by "motivational" warrants, where the claim is supported based on whether the warrant is "accepted as valuable or rejected as worthless" (Brockriede and Ehninger 51). When Clinton asserted that she was the best candidate based on her experiences and willingness to compromise, her grounds only supported her claim if the audience believed the unstated warrant that experience and compromise were valuable characteristics to have in politicians and that she had those characteristics. A pragmatic, practical worldview emphasizes achieving goals in the most prudent and efficient way possible, in some cases sacrificing the individual for the good of the whole. The two primary features that constitute Clinton's agency-agent ratio are her emphasis on agency and her devaluing the agent as the primary driver of political acts. Clinton's campaign rhetoric serves as a useful foil for understanding the differences in political dramas offered by Trump and Clinton and how agency-focused arguments are employed in political rhetoric. Clinton's rhetoric emphasized agency, or the means by which agents act, as the guiding feature of pragmatic rhetoric (Burke, GM 275). Even when faced with obstacles, Clinton argued that people can overcome those obstacles through compromise, hard work, and pragmatism. Clinton frequently noted that while change is possible, it is not something that will come easy. Clinton argued, "I am a confident optimist [but] that doesn't mean I'm not aware of how difficult it is. I'm going into this race with my eyes open about how hard it is to be president of the United States" (The American Presidency Project 2015, May 18, par. 54). Instead of highlighting her power as an agent, Clinton positioned herself as a humble agent, fully aware that she faced a formidable task. Clinton noted that she could overcome this difficulty not because of her intrinsic status as an agent but because she had "both the experience and the understanding to deal with the complexity of the problems that we face" (The American Presidency Project 2015, May 18, par. 55). Clinton focused on the tools necessary to perform the job and proposed that only when agents are armed with those tools and a recognition of the problems ahead can they make real change. Clinton defined the relationship between the American people and government as "a partnership," where both sides work together towards a common goal (Hopkins par. 9). Clinton stated, "Presidents don't do it alone. They do it with the American people" (Hopkins par. 9). A focus on agency privileges how people work together to "serve one another," acknowledging that "cooperation is necessary for the development" of society (Burke, GM 277, 280). Clinton argued that partnership and cooperation are parts of "America's basic bargain" where hard work enables people "to get ahead" (The American Presidency Project 2015, June 13, par. 11). She stated that the American people have held up their end of the bargain: "you worked extra shifts, took second jobs, postponed home repairs [and] you figured out how to make it work" (The American Presidency Project 2015, June 13, par. 24). Prosperity is something earned through effort, not something guaranteed as a quality of individuals qua individuals. Instead of asserting the power of the agent to accomplish incredible feats, Clinton focused on the means by which an agent might overcome problems and the principles of exchange and bargaining inherent in politics. Clinton was not a powerful agent unto herself; she required the cooperation and support of the people to achieve her campaign promises. Clinton lauded the collective ability of individuals to work together to overcome their problems:"We don't hide from change, we harness it," (The American Presidency Project 2015, June 13, par. 57). In Clinton's worldview, the strength of the country comes from everyone, not just the president. She noted that it is the"choices we've made as a nation, leaders and citizens alike " that have"played a big role " in the success of the country (The American Presidency Project 2015, June 13, par. 55). Clinton focused on how people can come together and achieve the goals set out before them. When she praised the American people, Clinton praised their drive and commitment: "People have made a lot of sacrifice. . . . And they did everything that they could think of to do to get back on their feet " (The American Presidency Project 2015, May 18, par. 10). It was their actions and the tools by which they accomplished those actions, thus displacing agents as inherently valuable. Clinton's agency-agent political arguments relied on the grounds that certain agents were responsible for the nation's problems. Clinton argued that the system is a workable one, but agents inside of it have created a political climate "so paralyzed by gridlock and dysfunction that most Americans have lost confidence that anything can actually get done " (The American Presidency Project 2015, June 13, par. 54). In this quotation, Clinton is praising the act of getting things done and decries agents who have prevented those acts from being performed. This rhetorical move upends Trump's ratio by placing agents as antagonists in the narrative instead of its heroes. In another speech, Clinton called the inability of agents to compromise "poisonous " to "the long-term needs of our country" (The American Presidency Project 2015, July 13, par. 103). Clinton noted that some politicians work "to pit Americans against each other and deepen the divides in this country" instead of focusing on the common good and becoming "stronger together" (The American Presidency Project 2016, September 19, par. 8). Clinton also laid blame on "powerful interests [in business] fighting to protect their own profits and privileges at the expense of everyone else" (The American Presidency Project 2016, October 3, par. 16). Furthermore, Clinton pointed to how businesses "are aided and abetted by the rules and incentives in our economy [that] actually encourage people at the top to take advantage of consumers, workers, small businesses, and taxpayers" (The American Presidency Project 2016, October 3, par. 16). With a tax code "riddled with loopholes," Clinton acknowledged that it is tough "for the well-meaning CEOs to take the high road" (The American Presidency Project 2016, October 3, pars. 18, 17). In this speech, Clinton repeatedly emphasized agents as being subservient to the opportunities available to them and the means by which they can act. In Clinton's political drama, agents may not make rational choices or act in the best interests of the nation, again undermining the idealist perspective that agents are in full control over their situation. Clinton offered reasonable, rational, and practical decision-making as a solution to stubborn agents. Burke argued that pragmatism is suited to compromise because pragmatism is an idea that "all philosophies have in common, quite as the instructions for operating a machine are the same for liberal, Fascist or Communist" ideologies (GM 276). It is through cooperation that agents become strong, regardless of an agent's identity or political affiliation. To remedy loopholes and gridlock, Clinton argued that "Our next President must work with Congress and every other willing partner across our entire country. And I will do just that" (The American Presidency Project 2015, June 13, par. 56). Clinton equated the president's success with their ability and willingness to work with others. Clinton's campaign arguments were not based on her personal qualities or ethos, but the actions she would take. Clinton argued that political affiliation, loyalty, and identity should not overpower the willingness to compromise and work together toward common goals: "It's not about left, right or center; it's about the future versus the past," advocating for the abandonment of individual needs and party loyalties in service of cooperation and progress (The American Presidency Project 2015, July 13, par. 105). Politicians should focus on "principled and pragmatic and progressive policies that really move us forward together" (The American Presidency Project 2015, July 13, par. 101). These policies are possible when agents "use the power to convene, connect and collaborate to build partnerships that actually get things done" (The American Presidency Project 2015, July 13, par. 103). In Clinton's political drama, the president is not the sole, driving force behind change but is only a component of change dependent on their actions and commitment to compromise. Clinton argued that she did not want to be "a wet blanket on idealism," but did want to focus on "what we can achieve now" (Flores par. 5). Her pragmatic worldview deflected idealism because she viewed idealism as potentially impractical and an impediment to real change. Clinton described herself as "a progressive that gets things done" who believes "that standing still is not an option" (The American Presidency Project 2016, February 1, par. 4). While a subtle difference in weighing between agent and agency, Clinton's rhetoric promised to find ways to make things better, instead of positioning herself as the agent of change who will make things better. This small shift in emphasis reflects her pragmatic rhetoric where "what we are capable of doing" is the defining feature of agents (The American Presidency Project 2016, February 1, par. 4). In a speech at Wake Forest University, Clinton defined her identity through the philosophies and policies she stood for: "Remember, it's not just . . . my name that's going to be on the ballot. So much of what we care about — so much that's at stake in the election is, too" (The American Presidency Project 2016, October 27, par. 5). Instead of highlighting herself as a reason to vote, Clinton enumerated the issues on the ballot and positioned herself as someone who would work within the system to advocate for those issues. Perhaps tired of and cynical towards a "politics as usual" mentality, Clinton's pragmatic ratio failed to carry for voters, or as Toulmin might have said, her ratio was a "[mis]step" between grounds and the claim that voters did not follow (104). Clinton did not guarantee success in her political arguments; she argued that agendas, planning, and compromise will open doors for willing agents and produce the opportunities for success. Trump and Clinton's campaign arguments reflect inverted pentadic ratios, the former agent-scene and the latter agency-agent. Policies were not the only voting issue; voters were also attending to the political dramas enacted by candidates, where one offered the hope of the individual and the other the belief in the current system and its mechanisms. Now established in office, Trump has continued his idealist rhetorical style and has continuously relied on his own authority to support his claims. Trump's rhetoric goes against political norms that note "the existence of justifiable argumentative claims is of vital importance in democratic politics" (Ball 128). The significant shift away from appeals to fact and towards appeals to blind authority should prompt concern for the future of deliberation and political argumentation (Ball 128). Trump's vision of America is the guiding narrative of the moment and his rhetorical style is quickly becoming a hallmark of his presidency. One immediate consequence of Trump's idealism is his reliance on executive orders (EOs) that enable presidents to chart a policy without confirmation or approval from other political entities, such as Congress or the Cabinet. The EO is an act that privileges no "co-agents" and relies solely on the power of a lone agent (Burke, GM xxii). Mere hours after his inauguration as the 45th President, Trump issued an EO to begin the process of repealing the Affordable Care Act, more commonly known as Obamacare (Lee and Luhby). The EO is a notable exception to the U. S. government's system of checks and balances that makes it near impossible for presidents to act in a vacuum. Instead, the presidency typically requires cooperation with multiple stakeholders, the opposing political party, branches of governments, and the public. In the spirit of Brushke's call that argument scholars and rhetorical critics engage "normative" standards for argument (63), we can say that Clinton's pragmatic rhetoric more closely reflects the reality of the president's political situation, whereas Trump's rhetoric attempted to create a new political reality. Brummett, summarizing the ideas of Edwin Black, noted that politics "offers to its audience a view of who they are" (261). Given the political rhetoric of successful and unsuccessful candidates, the 2016 presidential election gives us a view of who America's voters are and what we value as a nation. Voting is not simply an act of support for a candidate and their policies, but also one that legitimizes a resonating worldview. This blended Burkean and argumentation approach provides added dimensions to the rhetorical differences between Trump and Clinton's campaign rhetoric. Furthermore, this research establishes concrete ways that Burke and argumentation can coexist in rhetorical analysis and sheds light on the importance of worldviews in constructing and carrying out political arguments. Toulmin argued that the backing of warrants "is something which [researchers] shall have to scrutini[z]e very carefully," because the backing's "precise" relationship to other parts of the model is incomplete and ambiguous (96). In pairing dramatism with the Toulmin model, we provide deeper scrutiny into warrants as backed by worldviews that legitimize grounds-claim relationships. In that the warrants and backings "to which we commit ourselves are implicit," we propose that we can analyze and evaluate these argument components through a Burkean focus on pentadic ratios and their corresponding ideologies (Toulmin 93). Either method would have provided an interesting analysis of the 2016 presidential election, but we believe that it is only by combining the two that we get a more complete perspective on how political campaigns function not only persuasively, but through identification to create compelling political dramas. The Toulmin model enables a look into the structure of an argument, while dramatism drives how its structure functions as a symbolic inducement of community-building and meaning-making. We encourage future scholars of political argument to use this analysis as inspiration to include dramatism as an integral component of their analysis to uncover the nuances of language and the narratives that emerge in campaigning. Trump's rhetoric represents a change in norms for political argumentation; one that emphasizes the lone agent and unbridle idealism over the common good. But, even though a single agent rules in the White House, it has not stopped other agents from gathering and acting together as a rejoinder to Trump's political statements. With marches, protests, and increased activism, we can see that the seeds of pragmatism, collaboration, and democracy are still alive. Neither idealism nor pragmatism itself is worrisome, but when either is wielded against the common interests of the public, productive deliberation can be stifled. Thus, we end by turning to Clinton's words that "our constitutional democracy demands our participation" and the idea that it is with both politicians and publics that we create democracy (The American Presidency Project 2016, November 9, par. 24). American Presidency Project, The. "Hillary Clinton: Remarks at a Campaign Event in Mason City, Iowa," 2015, May 18, www.presidency.ucsb.edu/​ws/​index.php?pid=111420. Accessed 7 Nov. 2017. — . "Hillary Clinton: Remarks in a Campaign'Kickoff' Speech in New York City," 2015, June 13, www.presidency.ucsb.edu/​ws/?pid=110267. Accessed 7 Nov. 2017. — . "Donald Trump: Remarks Announcing Candidacy for President in New York City," 2015, June 16, www.presidency.ucsb.edu/​ws/​index.php?pid=110306. Accessed 7 Nov. 2017. — . "Hillary Clinton: Remarks at the New School for Social Research in New York City," 2015, July 13, www.presidency.ucsb.edu/​ws/​index.php?pid=111418. Accessed 7 Nov. 2017. — . "Hillary Clinton: Remarks in Des Moines following the Iowa Caucus," 2016, February 1, www.presidency.ucsb.edu/​ws/​index.php?pid=111439. Accessed 7 Nov. 2017. — . "Donald J. Trump: Remarks on foreign policy at the National Press Club in Washington, DC," 2016, April 27, www.presidency.ucsb.edu/​ws/?pid=117813. Accessed 7 Nov. 2017. — . "Donald J. Trump: Remarks at Trump SoHo in New York City," 2016, June 22, www.presidency.ucsb.edu/​ws/?pid=117790. Accessed 7 Nov. 2017. — . "Donald J. Trump: Remarks in Virginia Beach, Virginia," 2016, July 11, www.presidency.ucsb.edu/​ws/?pid=117815. Accessed 7 Nov. 2017. — . "Donald J. Trump: Remarks Introducing Governor Mike Pence as the 2016 Republican Vice Presidential Nominee in New York City," 2016, July 16, www.presidency.ucsb.edu/​ws/?pid=117791. Accessed 7 Nov. 2017. — . "Donald J. Trump: Address Accepting the Presidential Nomination at the Republican National Convention in Cleveland, Ohio," 2016, July 21, www.presidency.ucsb.edu/​ws/​index.php?pid=117935. Accessed 7 Nov. 2017. — . "Donald J. Trump: Remarks on Immigration at the Phoenix Convention Center in Phoenix, Arizona," 2016, August 31, www.presidency.ucsb.edu/​ws/​index.php?pid=119805. Accessed 7 Nov. 2017. — . "Hillary Clinton: Remarks at Temple University in Philadelphia, Pennsylvania," 2016, September 19, www.presidency.ucsb.edu/​ws/​index.php?pid=119161. Accessed 7 Nov. 2017. — . "Hillary Clinton: Remarks at Martin Luther King, Jr., Plaza in Toledo, Ohio," 2016, October 3, www.presidency.ucsb.edu/​ws/​index.php?pid=119154. Accessed 7 Nov. 2017. — . "Donald J. Trump: Remarks at the KI Convention Center in Green Bay, Wisconsin," 2016, October 17, www.presidency.ucsb.edu/​ws/​index.php?pid=119183. Accessed 7 Nov. 2017. — . "Hillary Clinton: Remarks at Wake Forest University in Winston-Salem, North Carolina," 2016, October 27, www.presidency.ucsb.edu/​ws/​index.php?pid=119694. Accessed 7 Nov. 2017. — . "Hillary Clinton: Remarks in New York City Conceding the 2016 Presidential Election," 2016, November 9, www.presidency.ucsb.edu/​ws/​index.php?pid=119496. Accessed 7 Nov. 2017. Ball, William J. Toulmin's Informal Logic As a Bridge Between Political Theory and Policy Analysis. Dissertation, University of Missouri, Columbia, 1992. ProQuest Dissertations Publishing. Bloomfield, Emma Frances, and Angeline Sangalang. "Juxtaposition as Visual Argument: Health Rhetoric in Super Size Me and Fat Head." Argumentation and Advocacy, vol. 50, no. 3, 2014, pp. 141–56. Bloomfield, Emma Frances, and Richard A. Katula. "Rhetorical Criticism of the 2008 Presidential Campaign: Establishing Premises of Agreement in Announcement Speeches." Communication Research Reports, vol. 29, no. 2, 2012, pp. 139–47. Brockriede, Wayne, and Douglas Ehninger. "Toulmin on Argument: An Interpretation and Application." Quarterly Journal of Speech, vol. 46, no. 1, 1960, pp. 44–53. Brummett, Barry. "A Pentadic Analysis of Ideologies in Two Gay Rights Controversies." Central States Speech Journal,vol.30, no. 3, 1979, pp. 250–61. Brushke, Jon. "Argument and Evidence Evaluation: A Call for Scholars to Engage Contemporary Public Debates." Argumentation and Advocacy, vol. 49, 2012, pp. 59–75. Burke, Kenneth. Language as Symbolic Action: Essays on Life, Literature, and Method. U of California P, 1966. — . A Grammar of Motives. 1945. U of California P, 1969. — . The Philosophy of Literary Form (3rd ed.). U of California P, 1973. — . A Rhetoric of Motives. 1950. U of California P, 1969. Dow, Bonnie J. "Taking Trump Seriously: Persona and Presidential Politics in 2016." Women's Studies in Communication, vol. 40, no. 2, 2017, pp. 136–39. Fisher, Walter R. "Narration as a Human Communication Paradigm: The Case of Public Moral Argument." Communications Monographs, vol. 51, no. 1, 1983, pp. 1–22. Flores, Reena. "Hillary Clinton Comments on Bernie Sanders Supporters in Leaked Recording." CBS News, 1 Oct. 2016, www.cbsnews.com/​news/​hillary-clinton-comments-on-bernie-sanders-supporters-in-leaked-recording/. Accessed 7 Nov. 2017. Hopkins, Scott. "Hillary in SC: ‘When Democrats Win, Americans Win.' Hillary HQ, 3 June 2015, www.hillaryhq.com/​2015/​06/​hillary-in-sc-when-democrats-win.html. Accessed 7 Nov. 2017. Jacobson, Gary C. "The Triumph of Polarized Partisanship in 2016: Donald Trump's Improbable Victory." Political Science Quarterly, vol. 132, 2017, pp. 9–41. Lee, M. J., and Tami Luhby. "Trump Issues Executive Order to Start Rolling Back Obamacare." CNN, 20 Jan. 2017, www.cnn.com/​2017/​01/​20/​politics/​trump-signs-executive-order-on-obamacare/. Accessed 7 Nov. 2017. Levasseur, David G. "Edifying Arguments and Perspective by Incongruity: The Perplexing Argumentation Method of Kenneth Burke." Argumentation & Advocacy, vol. 29, no. 4, 1993, pp. 195–203. Oliver, J. Eric, and Wendy M. Rahn. "Rise of the Trumpenvolk: Populism in the 2016 Election." The Annals of the American Academy vol. 667, 2016, pp. 189–206. Parson, Don. 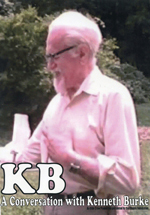 "Kenneth Burke and Argument? An Introduction." Argumentation and Advocacy, vol. 29, 1993, pp. 145–47. Pew Research Center. "Campaign 2016: Modest Interest, High Stakes." Pew Research Center, April 2015, www.people-press.org/​files/​2015/​04/​4–2-2015–2016-release1.pdf. Accessed 7 Nov. 2017. — . "Top Voting Issues in 2016 Election." Pew Research Center, 7 July 2016, www.people-press.org/​2016/​07/​07/​4-top-voting-issues-in-2016-election/. Accessed 7 Nov. 2017. Tonn, Mari Boor, Valerie A. Endress, and John N. Diamond. "Hunting and Heritage on Trial in Maine: A Dramatistic Debate over Tragedy, Tradition, and Territory." Quarterly Journal of Speech,vol. 79, 1993, pp. 165–81. Toulmin, Stephen E. The Uses of Argument. Updated edition, Cambridge UP, 2003.